Is the Food in My Refrigerator Safe to Eat? After a storm, hurricane or any atmospheric event, you could experience a power outage, so make sure that the food you have in your refrigerator or freezer is safe to eat. Place a thermometer in your fridge and in the freezer. Your refrigerator should be under 41º F and your freezer at 0º F.
Keep the refrigerator doors closed as much as possible to maintain the cold temperature. Use a tip-sensitive digital thermometer to check foods for cooking and storage temperatures. 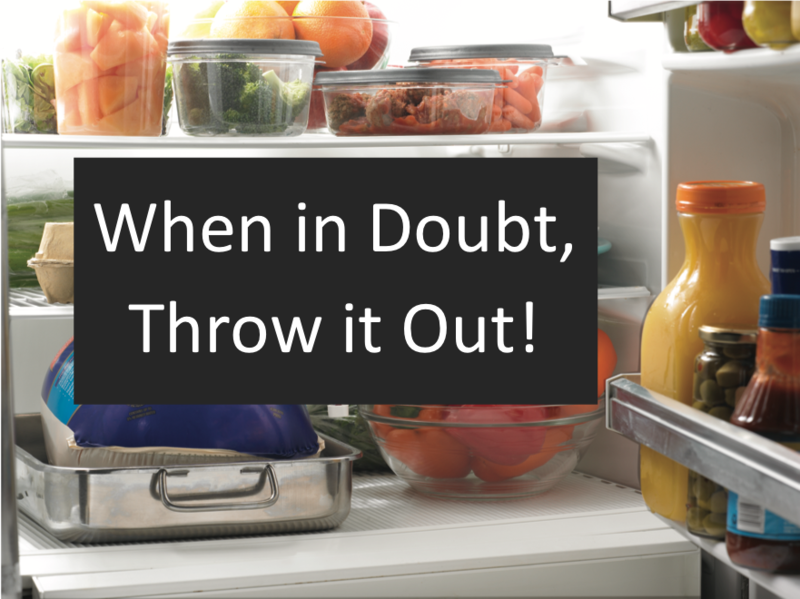 A closed fridge will keep food below 41°F only about four hours after a power loss.